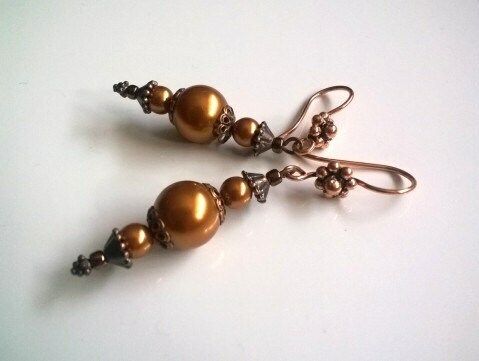 These beautiful golden earrings are made and designed by me, using copper finished findings and genuine Swarovski Pearls beads. I strive to make affordable jewelry that is casual and fun, but also beautiful and unique enough to provide that finishing touch on any formal outfit as well. 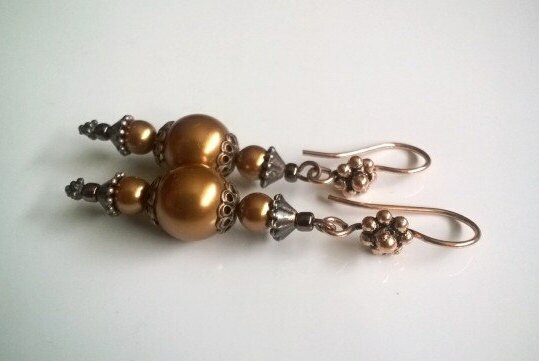 Versatility is key and with these earrings...with them, you will get just that!